The House of Fletcher: Try Not to Fall Out in Shock, Ok? Where a charming Yankee and a Southern belle live life thankfully, hopefully and well. Try Not to Fall Out in Shock, Ok? Yes, I am actually posting. Don't get too excited, though - it ain't a long one. I'm simply here to give you your smile of the day. He is so stinkin' FAB-U-LOUS!!! And hey, I think I'm trying to get back into this blogging thing...don't fall out YO chair! Given this label by her husband, she lives up to it with her love of etiquette, Elvis and entertaining - and the occasional (small) piece of Mississippi Mud. She has a slight addiction to Diet Coke and cosmetics and loves Christ and her family more than anything. A Minnesota transplant, he traded goolash for grits and the Vikings for the Vols. He's been known to say it's the best move he ever made, and can't imagine how he ever lived without sweet tea and perfect strangers calling him "honey." His best friend is about two feet tall and calls him "Daddy." Also known as The Master to the Southern Belle and the Charming Yankee, this blue-eyed flirt enjoys playing, giving kisses and the Disney Channel. He's as sweet as pie - which makes you want to eat him up. 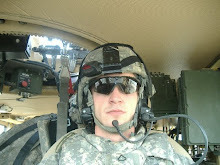 My cousin, Levi, is serving you in Iraq. Please pray for his safety and for the safety of the other brave men and women. My little family and I live in Middle Tennessee...we love it here! My husband, David, works in pharmaceutical sales and my "occupation" is real estate agent. My "career", however, is stay-at-home mom! It's the best job I've ever had. Our little son, Dawson, is three years old and is the joy of our lives. Family is important to me - I have two brothers: Jason is an officer in the Army and Brandon is a cadet at the Air Force Academy. We hope this blog allows our family and friends who aren't close to us geographically a little insight into our world! Thank you for visiting! Also known as my best friends! David's Company - Check It Out! Want to Build? Monarch Homes Is the Best! Need a Realtor? Here You Go!